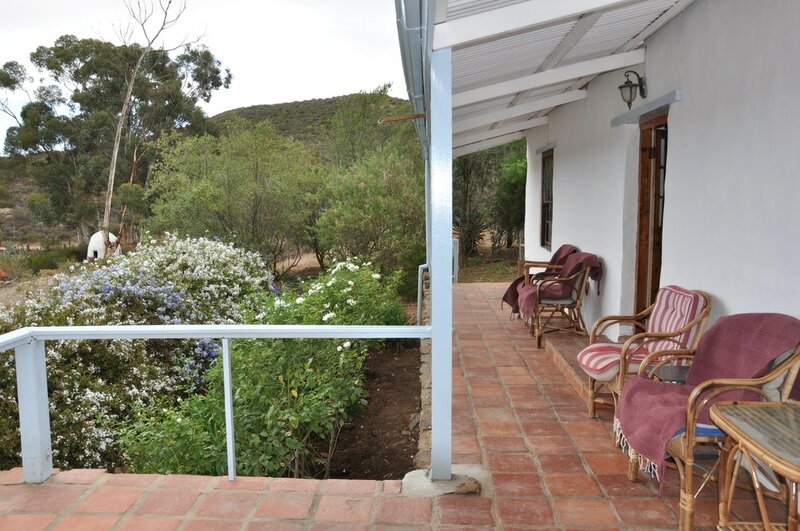 Our cottages are fully equipped, and bedding and towels are provided. 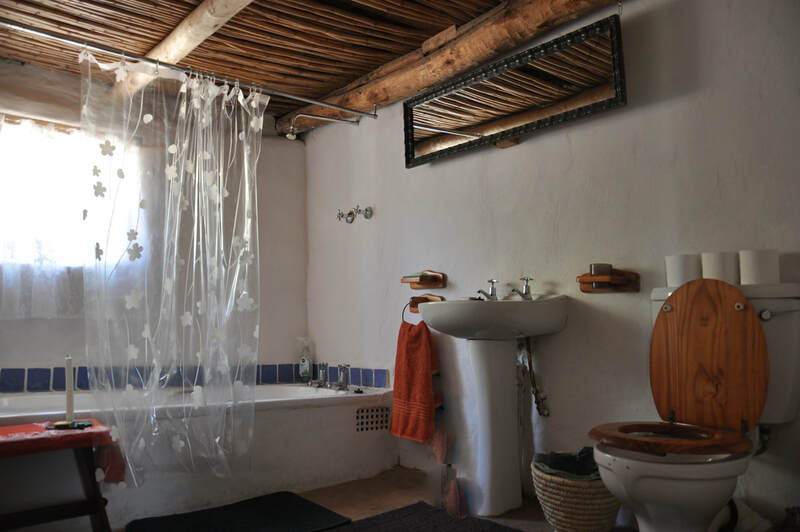 The hand-made mud brick walls are plastered with earth on the interior and then whitewashed. The dung floors are warm and soft to the tread. Each one of the cottages on the farm is unique. 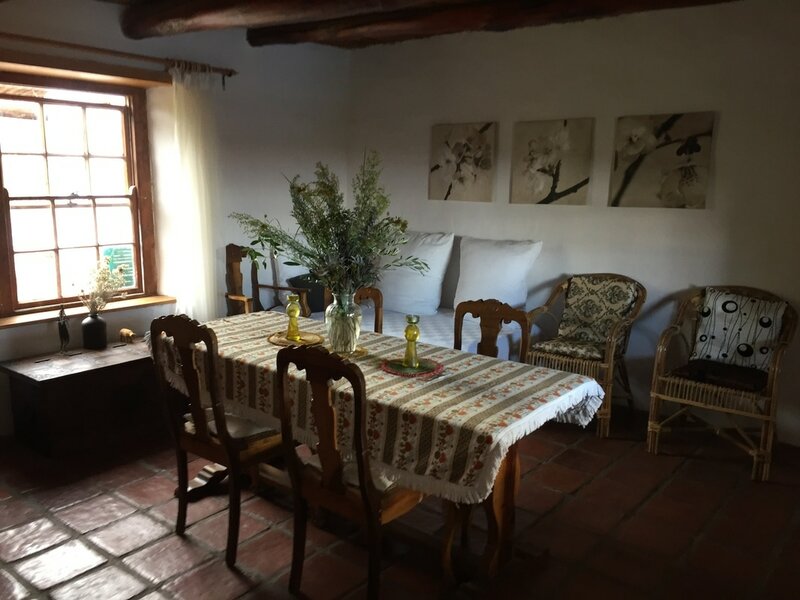 We have tried to match the furnishings, gleaned in most part from local antique shops, to the nature of each cottage, thus creating their own character and individual ambiance. The single thread that draws them together is a gentle simplicity redolent of how we once lived - and perhaps could again. The Lavender Cottage, affectionately dubbed "the ruin", was the most dilapidated of all the cottages and has been been lovingly restored as accurately as possible. Even the windows were made to the original size from reclaimed Oregon pine. This delightful little cottage was once home to a former miller, his wife, and their six children. The furnishings of this cottage reflect its old world charm, and the cottage now sleeps 3. There is a double brass ‘Hemel bed’ in the bedroom, and an antique stinkwood three quarter bed in the living area that doubles as a day bed. The small second bedroom has been converted into a bathroom with a shower. Creature comforts include a 3 plate gas burner for cooking, gas hot water, and soul-soothing candlelight for evening illumination. Solar lighting and refrigeration has been added for comfort, and The Welcome Dover stove in the original hearth provides for warmth in winter. This quaint cottage is comfortable and very cosy. 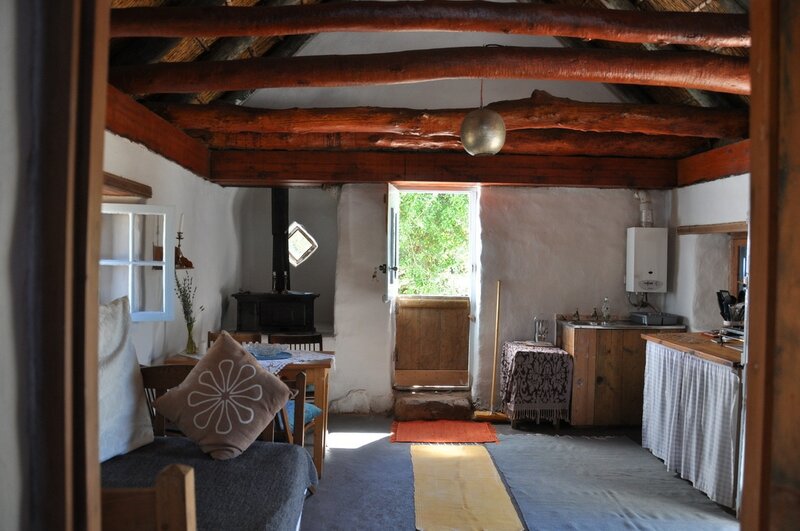 The Barn, nicknamed ‘Die Kasteel’ (The Castle), started its life as a typical Karoo cottage. At some stage in its life it was altered and turned into a cow shed, complete with cement feeding troughs in the kraal at the back of the cottage. It was later simply used as a barn. It has been reworked back into the cottage it had once clearly been, keeping the wide doorway, and adding a Victorian fireplace that was found in one of the lofts. The Barn also sleeps 3 (one double bedroom, and a single antique iron (day) bed in the living area), and is more spacious than the Millers cottage. 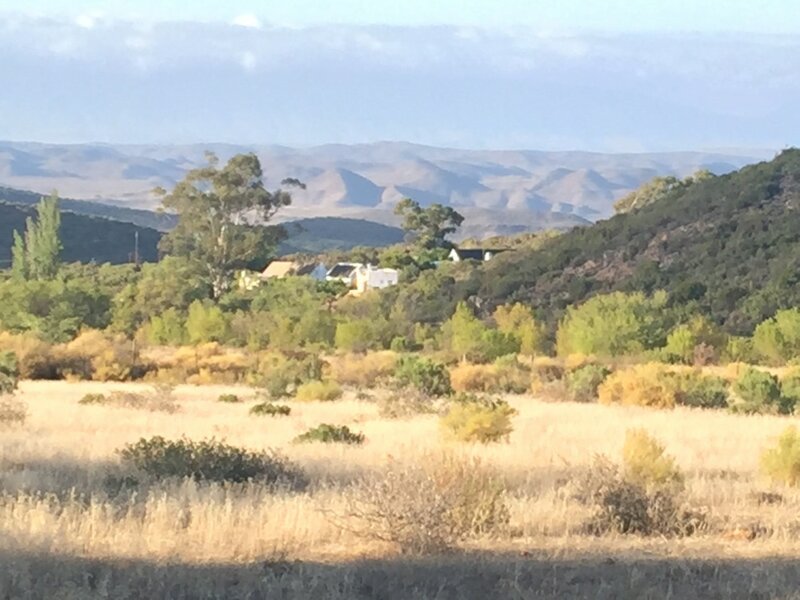 The barn has a 3 plate gas burner, solar hot water and romantic candlelight for the evenings. Solar lighting and refrigeration has been added for comfort. This romantic cottage is a blend of old and new. It is also favoured by artists and other creative souls. 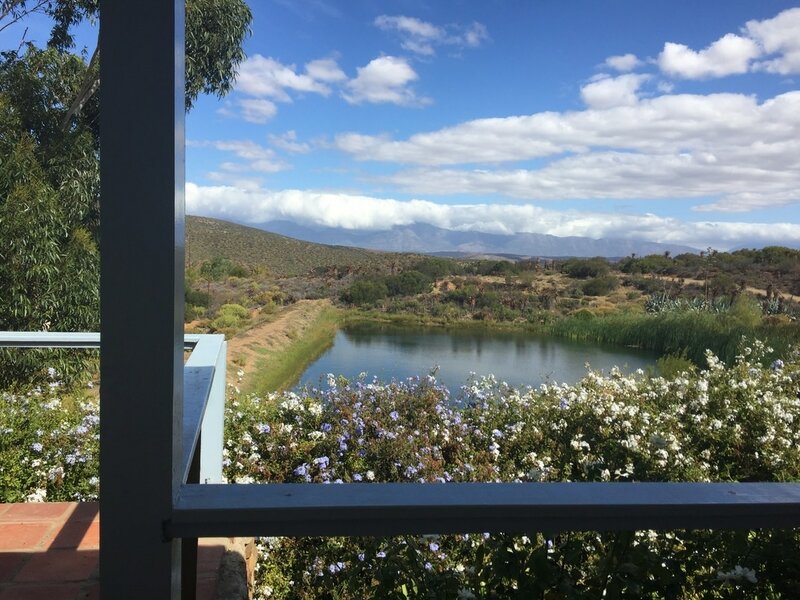 The Manor House is a very spacious Two Bedroom cottage with spectacular views from every room over the dam, and the Langeberg Mountains beyond. In years gone bye this cottage was the residence of Louw Rabie (brother of the writer Jan Rabie) who was a renowned geologist and philosopher, as well as a former home to the writer and African historian Brenda Sullivan/Wintgen. 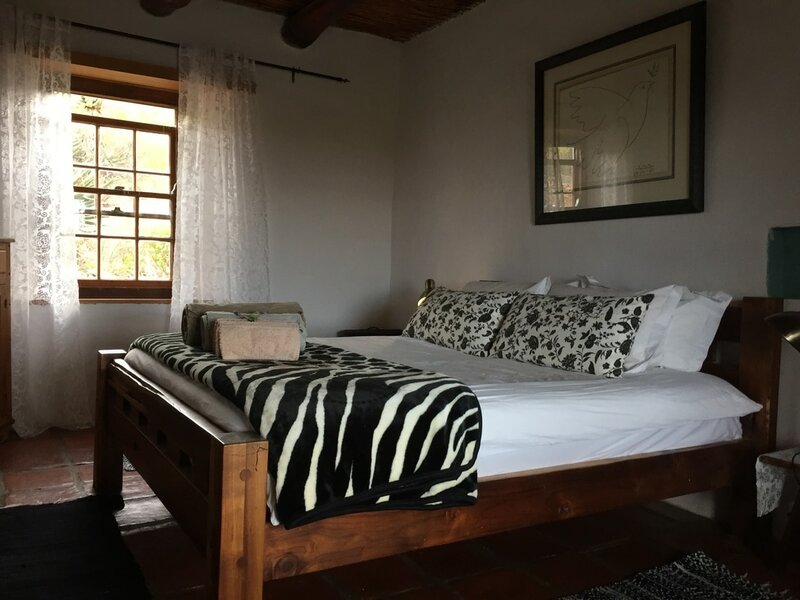 The Manor House can sleep 5 (two separate double bedrooms with a single (day) bed in the dining area), There is a bathroom with bath and shower, a farm style kitchen with a separate scullery, a spacious dining room , and there are clay tiled floors throughout. The kitchen has a fireplace with a Dover stove, and is equipped with 4 plate gas burner, gas fridge, and gas hot water. This cottage has solar electricity for lights and charging cell phones, laptops, etc. 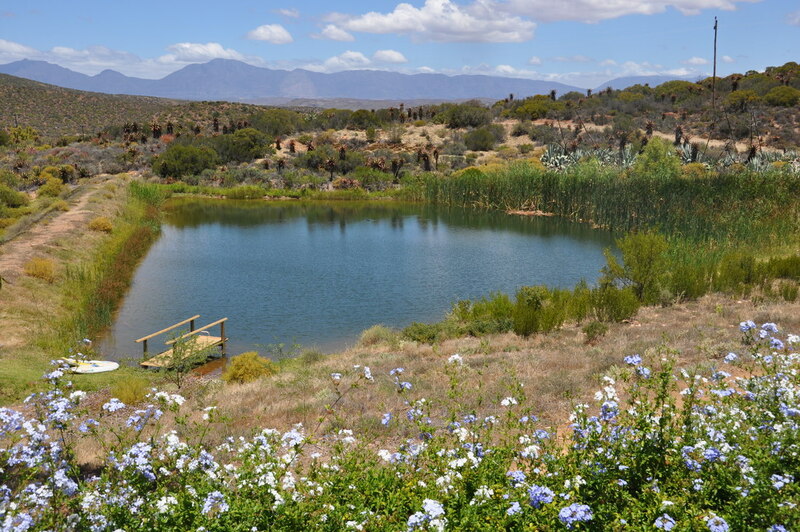 There is a private back patio, and an elevated front stoep looking over the farm dam onto the Langeberg mountains in the distance. 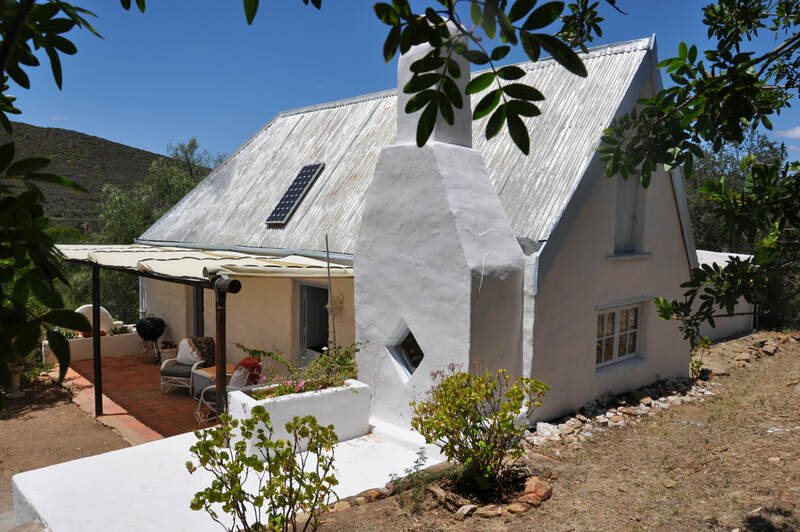 One of the first houses on the farm, Mill House is a typical Karoo cottage that has been altered and enlarged over the years, as families grew and needs changed, into its present Victorian style. Mill House can sleep 3, (1 double bedroom and 1 separate single bedroom). 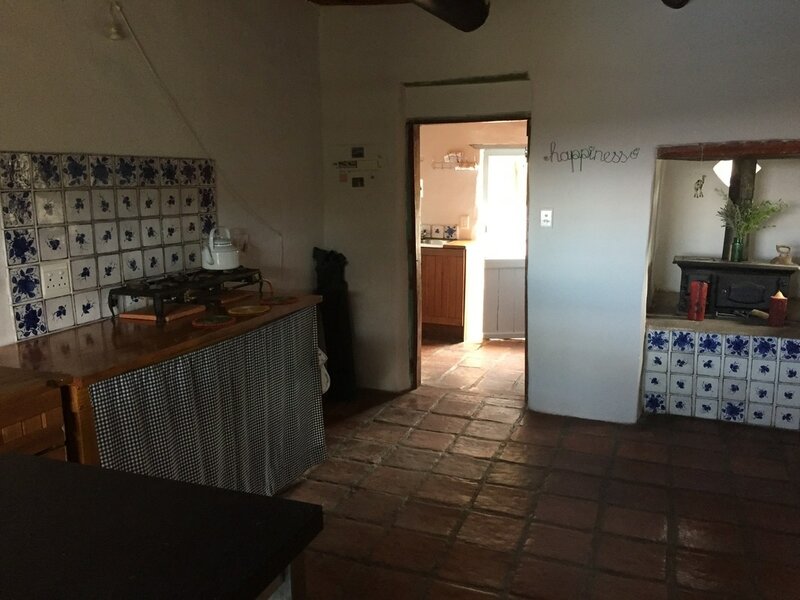 There is a bathroom with bath and shower, a separate kitchen with a clay tiled floor, and a lounge/dining room. The kitchen has a fireplace with a Dover stove, and is equipped with a 3 plate gas cooker, gas fridge, and there is gas hot water. This cottage also has solar power for lights, and recharging phones only. Mill House is furnished in simple country cottage style and is set into a hillside, opposite the old Watermill, overlooking a large poplar tree forest. The Langhuis dates back to about the 1820’s, and is one of the oldest remaining structures on the farm. It has massively thick mud walls, with small deep set windows. It started its life as a barn and was probably used to keep the wagons in. It was built in two sections which have been retained through the years. This probably consisted of a small living area on one side, and a barn with a tack room, on the other. After the end of the second world war, when many of the deserted properties in the area were re-occupied, the Langhuis was converted into a large family house, and additions were built, some of which still remain. Community gathering were held at the ‘opskop’ dances on the long stoep in former years, and tremendous times were enjoyed by all. The Langhuis is quieter now, but is still a wonderful gathering place, and is ideal for conferences, meetings or workshops. 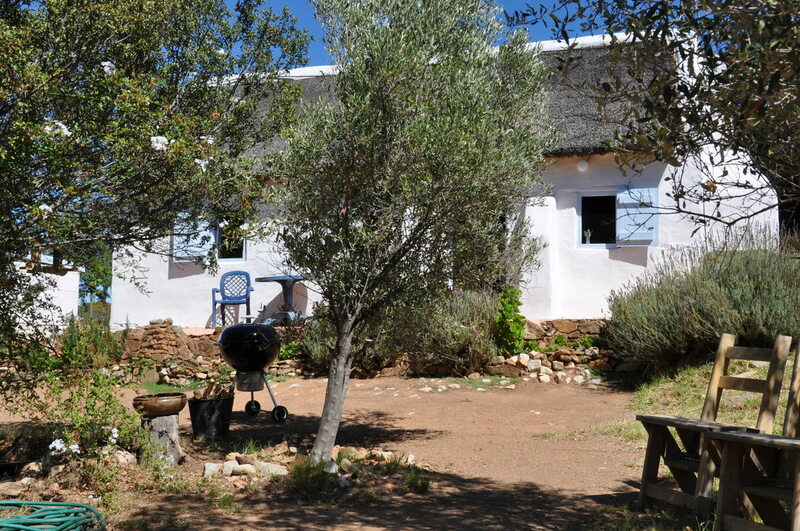 The stoep is 21 meters long, and is a magnet for those who wish to sit ‘chewing the fat’ over a sun downer.